We are lucky that we are living in a country where natural resources are in abundance . I always try to find some good about Pakistan and I'm proud to inform you that there are lot of good things but we need to manage it in proper way . As per one international agency estimate, Pakistan has more then Trillion US Dollar worth minerals depositis . Based on available information, Pakistan has more than 6, 00, 000 sq.kms of outcrop area demonstrates varied geological potential for 23 metallic / 24 non-metallic mineral deposits. Currently about 52 minerals are under exploitation although on small scale. The major production is of coal, rock salt, and other industrial and construction minerals. 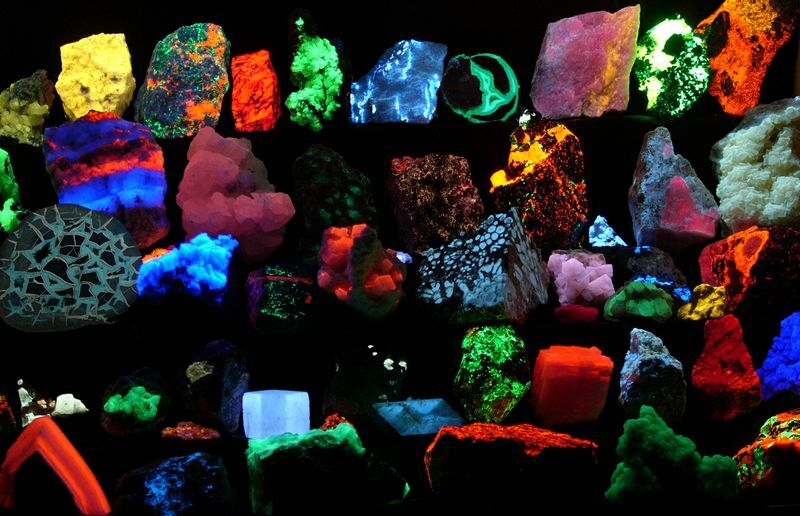 The value addition in the mineral sector is mainly concentrated in five principal minerals, namely, limestone, coal, gypsum, sulphur, crude oil, and natural gas. 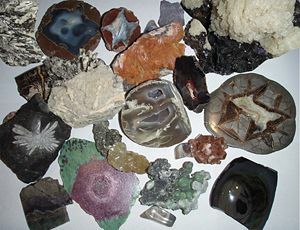 TOP FIFTEEN (15) MINERALS OF PAKISTAN. The significance of copper resources of Pakistan is widely known because of huge investment made in development of saindak copper deposit. Chromite occurrence is wide- spread yet its potential is far from being fully assessed judging from the favorable geological environment. For this reason, chromite deposits of Baluchistan and NWFP must be considered from a regional standpoint that could enable Pakistan to become a major exporter of chromite and /or ferrochrome. - In Dargai has been spectacular: estimated reserves 0.7 Mt of which 0.3 Mts are proven. - In Heroshah, open pit reserves of around 0.1 Mt have been proved. - Similary in Jijal-pattan and Chilas areas (Kohistan) Shunghail prospect appear to contain 0.2 Mt reserves. More than 23.72 million tons of Zinc/Lead reserves are found in Pakistan. The Jurassic rocks of the Lasbela � Khuzdar Belt have the potential to host several WORLD CLASS� zinc � lead ore deposits. Among the four better known deposits of Surmai Gunga, Dhungei Duddar is the most advanced. - Detailed geo-scientific studies through mapping and drilling (46000 meters) an inferred plus indicated geological reserves of 14.31 Mt @ 80.6 % Zn and cut-off 3.2% Pb have been calculated for the Duddar Deposit using + 7% Zn Pb cut-off. - The resources of Duddar Deposit have been estimated at about 50 Mt. The gypsum resources in Pakistan have existence in at least three interesting areas in terms of their size, resource, quality, reserves and exploitability. NWFP contains Cambrian sedimentary phosphates of marine origin, mainly in the upper clayey dolomite of abbottoabad Formation (cherty phosphate) 0-0 and underlying cherty � silty � sandy beds of Hazara formation. 1-Dolomitic ore (generally low to medium in P2 O5 & SiO2 and high in MgO). 2-Siliceous ore (generally medium to high in P2O5 and SiO2 and low in MgO. Rock salt is produced at Khewra, Warcha, Kalabagh, Bhadurkhel, Jatta and karak salt Mines by Pakistan Mineral Development Corporation. Punjab Mineral Development Corporation operates Chakwsal and Khusha salt mines whereas there are about fifteen private mine lease holders who operate in Punjab and NWFP. According to Pakistan Mineral Development Corporation, the rock salt reserves within the area of their mining operation are around 600 million tons. Bright prospects exist for the development of high purity solar salt facility around the coastal areas of Karachi. Solar salt so produced has export potential to the exponding southeast Asia Chemicals industries and for the growing industries established throughout. PIDC who used to hold the lease for magnesite mines at Kumhar in District Abbottabad established around 11 million tons geological and 3 million tons mine able reserves containing acceptable 46% - 47% magnesium oxide. Total Resources 12.0 million tons with an average of 45% MGO content. Pakistan is bestowed with extensive deposits of suitable quality of limestone in the provinces of NWFP, Punjab, Sindh, Balochistan, and Northern Areas. The average annual production of limestone is 8697 Metric tons used mainly in the manufacture of cement. Road making, building construction and in the chemicals industries. Presently the major production comes from shah Dheri, Swat where an elutriation plant has been established. Country�s average yearly production of china clay is 61,403 metric tons. Pakistan has enormous wealth of decorative and building stones such as granites, diorite, dunite, tonalite, pyroxenite, syenites, serpenites, gobbro, onyx, marble of different shades, recrystallized limestones, fossiliferrous limestones, sand stone and magnesium sandstones etc. More than 4140 million tons of Granite reserves are found in Northern Areas of Pakistan. Onyx occurs mainly in Balochistan, Chagi district marbles of different classifications, fossiliferrous limestone, serpentine etc. occur in other provinces mainly in NWFP and Northern Areas. - 2 million tons in Balochistan. Pakistan ranks amongst leading gem-hosting countries. Owing to favorable geological environments, NWFP, AJ&K and Northern Areas are the major gem hosting regions of the country. The gemstones include; Emerald, Ruby, Pink Topaz, Peridot, Green Ruby deposits of Hunza and AJ&K all other gemstone deposits have not been studied scientifically and are undocumented.